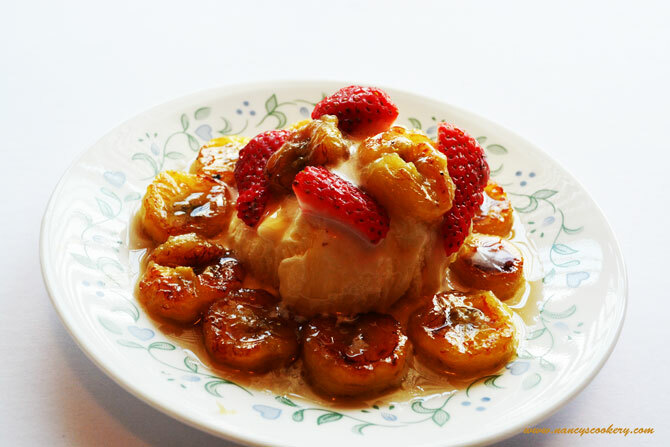 Fried bananas with honey and ice cream is an easy dessert which can be prepared within minutes if you have banana and ice cream in home. 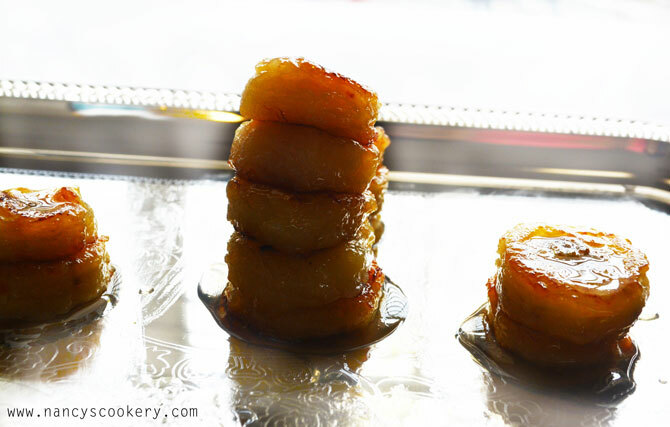 You can eat the bananas fried with honey without ice cream also if you prefer so. But the honey fried bananas with ice cream tastes heavenly. I f you hate to eat raw banana or got bored of eating banana you can try this method. And I know you will surely like it. 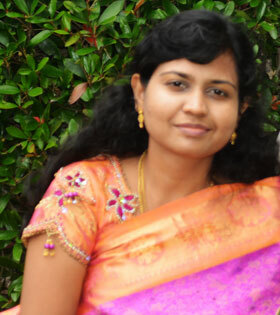 Click here to go to the PRINTABLE RECIPE or the Direct recipe which is at the bottom of this page. Bananas are rich in potassium. This mineral is important for normal heart function. So bananas are good for heart health. It helps in digestion. Lack of potassium causes muscle cramps. So banana which is a good source of potassium reduces your muscle cramps. so consider eating banana regularly on a daily basis. Coming to the recipe, Now let us prepare the honey mixture first to sprinkle over the fried bananas. 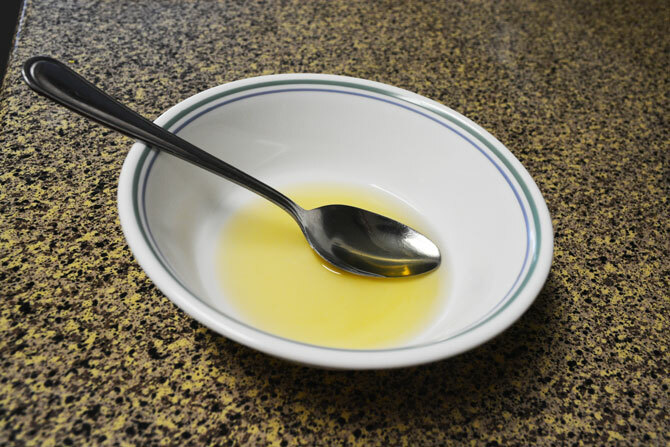 Take a tablespoon honey in a bowl. 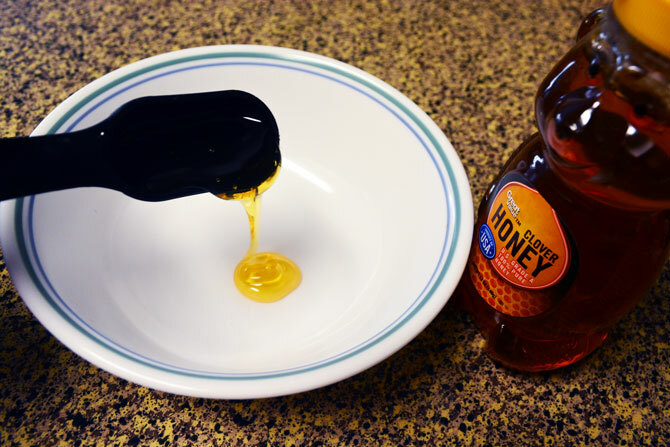 Add two tablespoons of water to the honey and mix it well with a spoon. This is the mixture we use it while frying bananas and at the end over the fried bananas. Now peel the banana and cut it into thin pieces (not so thin nor so thick). 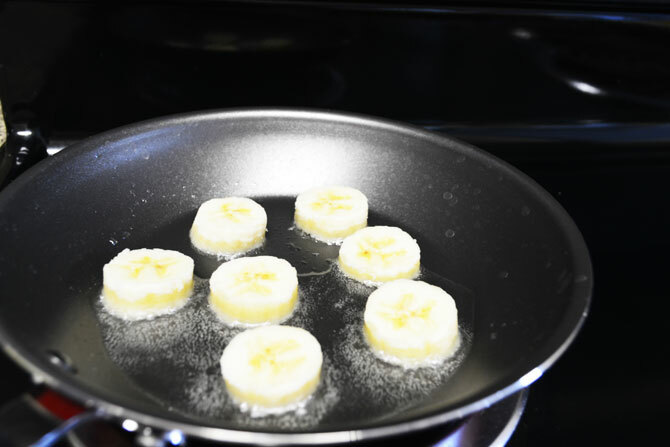 Now heat a tablespoon regular oil you use in a pan and add the banana pieces after the oil gets heated. Now sprinkle the honey water mixture over the bananas and be careful not to sprnkle it in the oil otherwise it will splatter. After 2 minutes flip the banana pieces to the other side, sprinkle honey mixture and repeat this until both the sides of banana pieces are browned and then remove from heat. Now ou can eat the honey fried bananas alone if you don't want to eat with the ice cream. 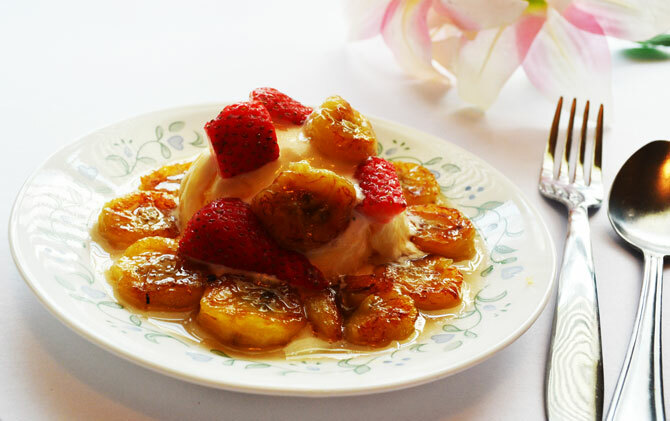 Arrange the fried banana slices in a bowl/plate with ice cream in the center, pour the remaining honey mixture over the fried bananas and squeeze honey in an array over the ice cream. Garnish it with quartered strawberry and serve/enjoy your dessert. Below is the printable recipe for your future reference. Mix honey with water and keep it aside. Peel the banana and cut into slices. 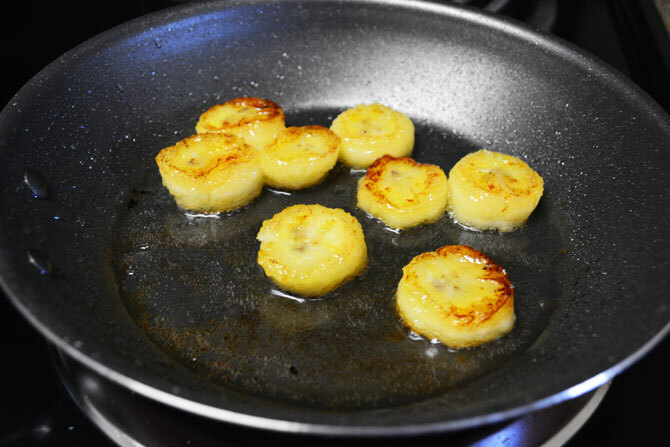 Heat oil in a pan and fry the banana on both sides with sprinkling honey mixture until banana slices are browned on both sides. Arrange the fried banana slices with ice cream in the center in abowl/plate. Pour the remaining honey mixture over the fried bananas and squeeze honey in an array over the ice cream. Then garnish with quartered strawberry and serve.